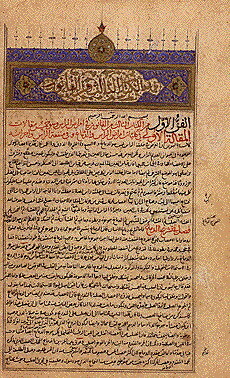 Known in the western world as Avicenna his name was Abu Ali al-Husayn ibn ‘Abd Allah ibn Sina (also known as Ibn Sina). He was born c 980 in Afshana near Bukhara. While Hippocrates is often referred to as the father of western medicine, Avicenna is sometimes referred to as the father of modern medicine. He started learning medicine at age 16, achieving full status as a qualified physician at age 18. His fame as a physician gained him both advancement and exile or imprisonment, the apparent target of jealousy or misunderstanding by his peers. While much of Europe was stuck in the dark ages sciences and medicine flourished in the Persian Empire. And many ancient medical texts (such as those of Galen) were preserved thanks to this. Avicenna is also considered the inventor of distillation, while others would argue that he merely refined the process. He designed the coiled cooling pipe that improved condensation of steam, improved the extraction process for aromatic “oils” from plants, reportedly starting with a Persian favourite… the rose. It is thanks to his work in this area that he is also considered a pioneer of aromatherapy. You can get a copy (translation) of his Canon of Medicine, and I must admit it’s on my wishlist too. You can find various translations of various books by Avicenna on Archive.org and download for free. Avicenna died of colic after a grueling military campaign. The real physician is often not anywhere near as attentive to his own needs as he is to the needs of others. Avicenna continues his contributions to healing today through the understanding we have from his work. Most important, in my view, is his work with rose. Rose has positive effects on so many serious human issues as to be an absolute miracle. The book I write on that subject will be partially dedicated to Avicenna. We must thank our creator for all things. Our debt to Avicenna can only be repaid by continuing his work. Yes, Rose has some amazing health promoting abilities. Aiding osteoarthritis, renal colic, type 2 diabetes, cardiovascular disease, inflammation, and of course it has antioxidant properties as well. It’s a plant, like so many others, that I never stop learning about.